One in 6 adults received drugs they didn’t need in 2016 – driving us towards antibiotic resistance. 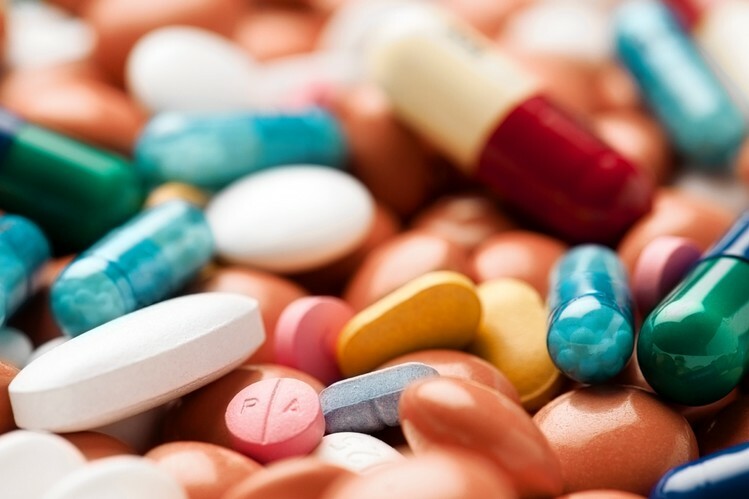 Antibiotics are drugs that are prescribed to patients to kill bacteria. Their use has saved countless of lives, but, unfortunately, in recent years their overuse in both animals and humans has become a growing area of concern. What are the dangers of taking antibiotics when you don’t need them? The overuse of antibiotics can result in the body becoming resistant to their effects. And, if this continues to happen, different forms of bacteria will soon become resistant to all available antibiotics. It’s surprising that during recent years, we’ve actually started to understand exactly how dangerous antibiotic resistance could actually turn out to be. And, though the healthcare world has tried to shift away from handing out prescriptions to everyone who walks in the door, that objective may, in fact, not be going so well. “Antibiotic resistance is one of the greatest threats to public health in the world, and the large number of antibiotics that providers prescribe to patients are a major driver of resistance|”, Dr Chua, a researcher and pediatrician at University of Michigan C.S. Mott Children’s Hospital and the U-M Institute for Healthcare Policy and Innovation, said. A new study on prescriptions in the U.S., published in the British Medical Journal (https://www.bmj.com/content/364/bmj.k5092 ) estimates that roughly one in four antibiotic prescriptions are unnecessary and that’s just a rough estimate. To figure this out, researchers dug into health insurance claims data to see what kinds of diagnoses patients were prescribed antibiotics for. So some illnesses like streptococcal tonsillitis, bacterial pneumonia, or lung abscesses—they determined would pretty much always require an antibiotic prescription. But for some other health issues, on the other hand, antibiotics surely don’t serve any purpose, though. Inflamed sinuses, emphysema, pr even lower respiratory tract infections are just a few of those deemed to only sometimes require antibiotics. Finally, there was the category of diagnoses that never required any sort of antibiotic prescription. Upper respiratory tract infections, asthma, and allergic rhinitis (inflamed nasal lining) were all in this last group. Summing it up, of the 15.455.834 total antibiotic prescriptions they looked at, 23.2% were for illnesses in the “not going to do any good” category, making the prescriptions themselves inappropriate. A full 35.5% more were deemed potentially appropriate, being for diseases that might just get a positive reaction from an antibiotic. Only 12.8% were for ailments that always need one. One of the most terrible acknowledgements was that actually 28.5 percent of the prescriptions weren’t associated with any recent diagnosis. The actual number of irrelevant and unnecessary prescriptions might be much higher. For example, the authors point out in the study that 34 percent of those were for sinusitis, which previous research has shown has a high rate of unnecessary antibiotic prescriptions. The researchers involved in this study believe that this analysis helps to provide a new classification scheme that could be useful in the fight against the inappropriate use of antibiotics. They also admit that more studies need to be done to properly determine the rate of antibiotic misuse. Why do doctors give away antibiotics when they know they’re not necessary? The harder thing to understand is exactly why do doctors give away these types of pills if they know they’re not doing any good? Doctors often prescribed antibiotics for particularly nasty sore throats—knowing full well that viruses, which antibiotics can’t kill, cause most sore throats—and said they were hoping to avoid complications later on. But sometimes physicians also just don’t realize they may be part of the bigger problem. One 2011 study that surveyed physicians about it found that although 94% of senior doctors said antibiotics are overused nationally and 63% said that other doctors overprescribed, only 10% thought that they themselves were overprescribers. None of these are the definitive answer to why and how we’ve ended up with such a massive antibiotic problem, but the authors note that they hope this new methodology they’ve come up with helps other researchers identify ways to solve it. It’s only going to become a more pressing issue.